LEWISTON – On April 8th at approximately 8:55 a.m. an injury crash occurred on Bryden Canyon Road near 8th Street in Lewiston. A Lewiston Police Officer was parked on the side of the road with all emergency lights on, assisting a motorist. A silver 2006 Dodge Durango driven by Patrick A. Sanchez, 31, of Clarkston, WA was traveling eastbound on Bryden Canyon Road when he struck the back passenger side of the parked patrol vehicle. 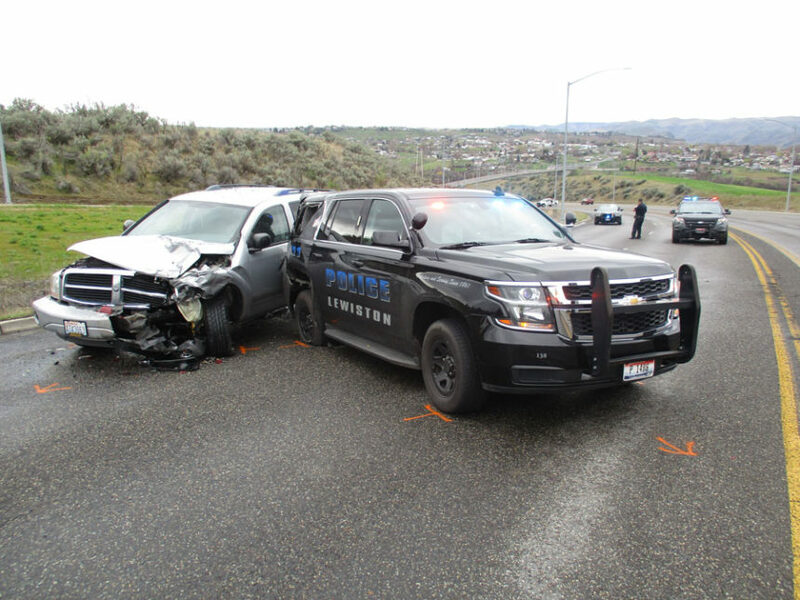 Both vehicles came to rest in the eastbound lanes of Bryden Canyon Road. Both drivers were wearing their seatbelts. 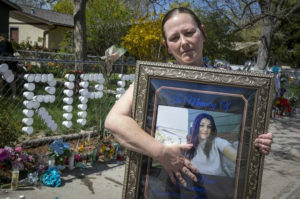 Sanchez was transported to the Tri-State Hospital in Clarkston, WA. The Lewiston Police Officer was transported to the St. Joseph’s Regional Medical Center in Lewiston.